Albuquerque is a wonderful city to visit. Even though the ideal time to visit falls between September and November—thanks to post-summer cool-off—there’s hardly a bad time to stay in New Mexico’s largest city. Combine a great climate with beautiful natural surroundings and you have an outdoor lover’s dream. Check out some of the different activities that you can participate in while soaking up the sun and enjoying fresh air. Albuquerque is one of America’s top cycling cities, with 440 miles (708 kilometers) of trails, paths, and lanes. Ride the 15-mile (24-kilometer) Paseo del Bosque trail, which passes through the Bentsen-Rio Grande Valley State Park and a slew of other attractions along the way. West of the river, Petroglyph National Monument’s path winds around inactive volcanoes and gives riders a view of Albuquerque’s bustle from above. Old Town mixes Spanish and Native American architecture and is home to the iconic San Felipe de Neri Church. Let the area’s street performers impress you as you walk around this 10-block neighborhood. The amazing food and the rows of shops will convince you to bring a healthy appetite and a roomy bagfor souvenirs. Explore the bosque (cottonwood forest) during a trip to Albuquerque’s Rio Grande Nature Center. It’s a 270-acre urban escape, where you can check out a variety of native plants and enjoy the most popular activity—bird-watching. Pack your binoculars in a Guide Pro Courier RFID and go see one of the events that are put on throughout the year. Walk around 150 miles (241 kilometers) of established hiking trails as you explore the Sandia Mountains, east of Albuquerque. The Sandias are also accessible via the Tramway, which is the world’s second longest (2.7 miles/4.4 kilometers). 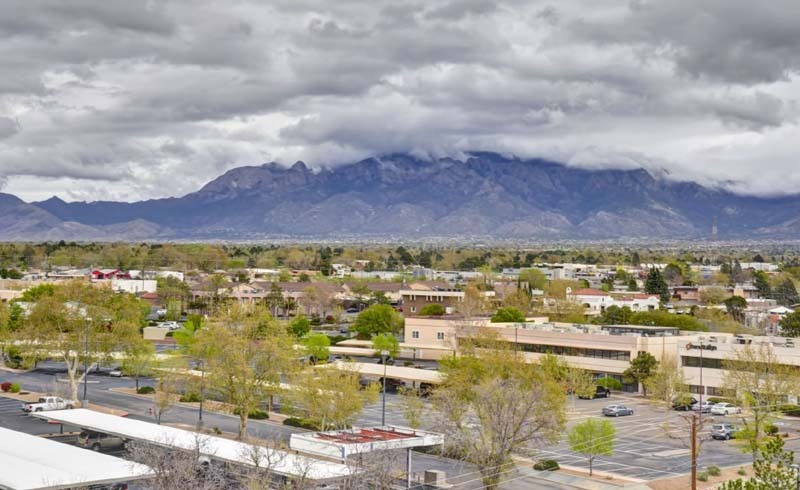 Winter is a popular time to visit the Sandias, as the snow-covered mountains are home to the area’s best skiing and snowboarding opportunities. Albuquerque’s BioPark is a huge environmental museum that is home to many different attractions along the Rio Grande. Get there early and don’t expect to do everything, because of the eventual crowds who slow things down after lunch. The 36-acre botanic garden is an excellent place to get a quiet start, since groups will often flock to the aquarium or zoo. Tingley Beach has fishing and boating options, but also welcomes travelers who simply want to drop their backpacks and picnic by the water. Visit in the spring and you’ll find festivals surrounding just about every theme before the famed Summerfests kick off in June and bring a family-friendly, fairground atmosphere. 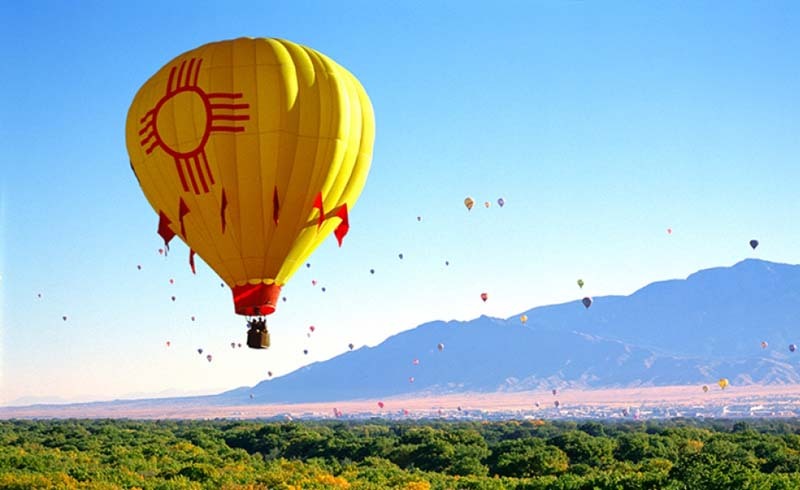 The October Balloon Fiesta is a large event for Albuquerque City Park and a colorful spectacle for those who get to experience it. Winter in Albuquerque offers the River of Lights and on Christmas Eve, the famed Luminaria adds even more festive vibes to the city. Are you a Breaking Bad fanatic? For TV junkies who want to relive every step that Walter White took in this popular, award-winning show, which was filmed in Albuquerque, there are various tours available by trolley, by bike, by RV, and by limo. There's even a store called The Candy Lady that sells blue ice candy ($1 per bag) that looks just like the product that Walter is famous for making. Albuquerque has innumerable options for visitors. Have you ever spent time there? What did you think? Anything you’d like to add for future visitors to Albuquerque? Share your thoughts in the comments, below.